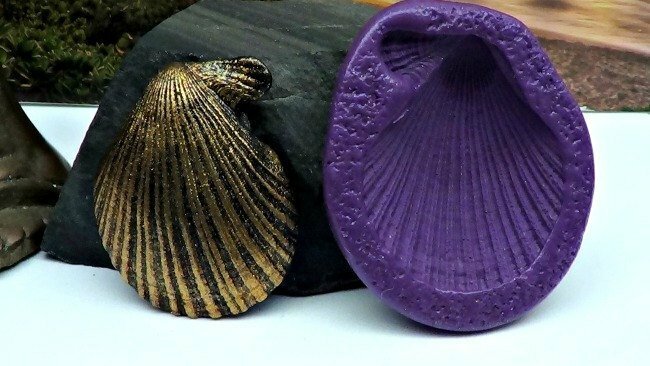 The flexible mold you will receive is easy to use and produces beautiful large scallop shell castings with great detail. I make these molds from silicone which are flexible and require no release agent. These molds can be used with all brands of polymer clay, but also work well for precious metal clay, porcelain, resin, paper clay, ceramic clay and even in soap making. Make pendants, beads, use as cabochons for bead embroidery...let your guide you. When casting polymer clay, condition the clay well. Once your clay has been pushed completely into the mold, the casting may deform during the removal from the mold. Putting the mold with the clay into a freezer for a short period (3 to 5 minutes) may make distortion less likely. However, you can also cure your item in the mold as the mold is oven safe up to 400F or 204C. 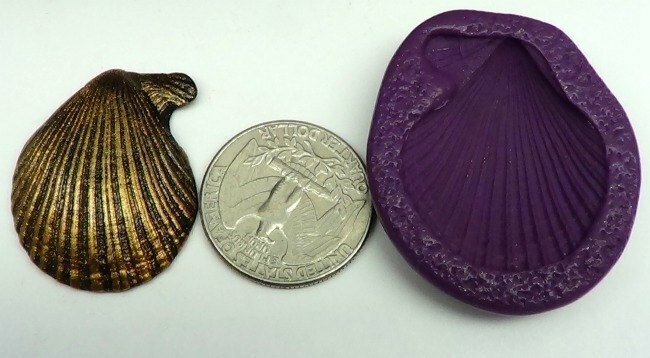 This method creates the most original casting. Results may vary and no warranty or guarantee is given.